Need a new laptop, TV, gaming chair, or Nintendo Switch? Maybe you want the new iPad Air at a discount? Now’s a great time to drop a few dollars on some killer deals. There are some wild deals floating around today, from Dell’s Small Business Sale to the Totalwireless $87 iPhone 6S. But the strangest deal might be the discounted 64GB iPad Air from Best Buy. We’re talking about the brand new iPad Air, the one that won’t come out until March 26th. This new iPad Air, which was announced yesterday, is a powerful machine that could put your laptop to shame. And for $475 dollars, it’s basically the cheapest iPad Pro that money can buy. Grab a new phone for cheap, or the new iPad Air at a neat little discount. Need to update your home office? Here are some great laptop and computer deals. You could save a pretty penny on a Nintendo Switch, or a new QLED TV. Need some new flatware, or a premium coffee grinder? We’ve got your back. 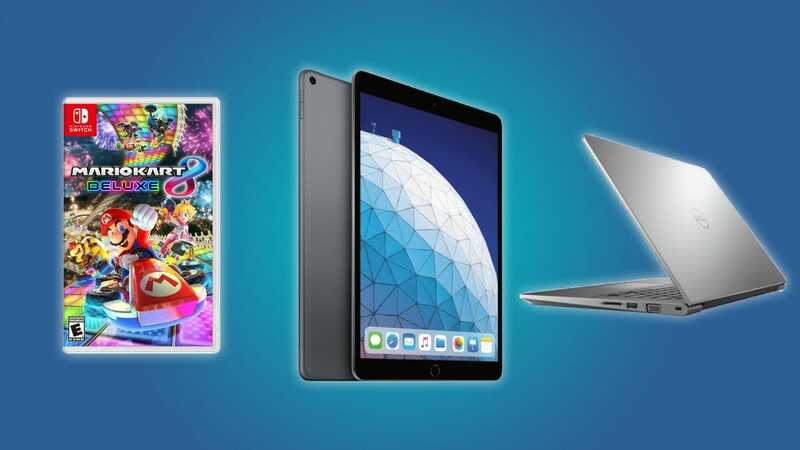 Good deals can disappear in the blink of an eye, so don’t wait on that iPad Air or that Nintendo Switch. After the holidays are over and the snow starts falling, you’re going to need more indoor activities to keep yourself occupied. With these box sets, you or the film and TV buff in your family will have plenty to watch all winter long.